How Digital is Translating Hispanic Culture in the U.S.
With the increase in the Hispanic population in the U.S., many marketing experts are talking about the speed of Hispanic acculturation, which is how quickly and easily a culture adopts the behaviors of its new surrounding culture. While some say that Latin Americans are embracing U.S. cultural customs faster than ever, the industry shows that Hispanic media is thriving and keeping the culture distinct from the general U.S. market. This is now extending from traditional media to a variety of digital channels. But interestingly, the culture being shown in digital media is more a meme-filled, marketing version than an authentic representation of the culture’s actual origin. This modern practice of digitally rediscovering one’s culture has been called “digital reculturation.” While it may not be authentic, it’s resonating with younger Hispanic audiences. MediaPost.com explained how digital reculturation is speaking to Hispanics. According to marketing experts, viewing a native culture via a marketing filter makes it more relatable and accessible to the second, third, and fourth generations of Hispanic families. These younger Latin Americans may not completely understand all the traditions of their native culture, but they recognize the more mainstream cultural symbols, ideas, and foods. Digital memes may not be genuine cultural representations, but they can evoke these popular images and help Hispanics connect with their culture. Research shows that the average U.S. Hispanic spends 2.74 hours a day on social media. This has allowed them to become very comfortable on social channels. 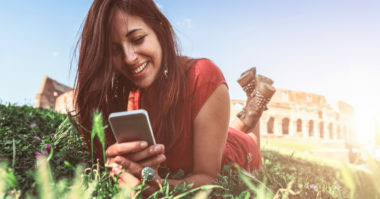 As a result, digital reculturation on social media provides Hispanics with a cultural connection in a medium that’s familiar and relevant to their daily lives. With Hispanic marketing and media rapidly increasing in both influence and revenue, it will become more and more important to leverage digital reculturation to relate and resonate with tomorrow’s generations of U.S. Hispanics. In addition, the growing ability of iconography, like memes, to suffuse a culture will enable U.S. companies to determine how Latin American culture is communicated to Hispanic consumers. These digital representations must be respectful and responsible in order to successfully sell U.S. products and services to the growing Hispanic audience. Understand the latest in digital marketing. Contact MDG Advertising.